This Junmai Sake is sharp and dry with a charming sweet-sour taste of citrus. Sharp, full-bodied taste. Dry, but smooth and balanced. Pair with grilled meats when warmed. Note of green apples and fresh acidity. World best selling sake from Kozaemon series. Very elegant and sophisticated taste. Most luxurious sake among Kozaemon. Sweet and elegant plum sake colored with gold flakes. The elegant fragrance of Shizuoka yeast and a gem of Daiginjo with enough taste even in refreshing with refreshing soup. As a sake drink normally, it is an ordinary sake of Otokoyama’s standard that is popular especially locally. It is a crisp, bold genshu with inviting flavors and aromas of melon, cherry and pepper. Brewed by “Noto Toji (master brewer following the Noto style brewing)” Yutaka Shiyake. Aged ginjo sake brewed in 1996. Shimmering amber color is distinctive. Ozeki's cutting-edge technique unites rich layers of umami with a smooth finish. Aromatic sake made by using Kyokai 1801 Kobo yeast. Brewed with locally grown rice. Dry with a sharp finish. Made from 100% Yamadanishiki rice, the sake expresses sweetness and clearness. Kibaichu is marked by a concentrated fragrance and gentle sweetness of ume. It has very refreshing aroma of fresh green, and very clear and crisp taste with rich in mineral, dry and sharp finish. It has the soft and sweet aroma of ripe peaches, and refreshing and juicy taste with long and elegant finish. Brewed in traditional kimoto style method, without using any additives, this sake is made with the power of nature. Crisp and super-refreshing! Full of classic "Shichida" Umami with a gentle lightness and has clean finish. Soft and smooth aroma of steamed rice followed by fruit character such as ripe peach and nectarine. Floral aroma of white bouquet, green apple, and grapefruit followed by a mineral nuance. Crisp and clean finish, best served chilled. An amazing reflection of elegant rice aroma with complex layered flavors. Refreshing aroma of melon, white peach, and summer cucumber. This very dry Junmai Ginjo's taste is very fresh and juicy with a dry and refreshing finish. Elegance aromas of apple and pears that has a presence like a fine chardonnay but is clean off the pallet with a dryness. Traditional Junmai Daiginjo that provides exquisite balance between sweetness and acidity. An award-winning Ginjo that can be enjoyed either warm or chilled. Soft and round with umami flavors that expand and deepen when warmed. Mellow aroma with a wide variety of flavor. Smooth and silky with a long lasting finish. Soft and elegant aroma while rice umami lingers until it tapers. By warming up, the rice umami is enhanced. A dry but yet crisp type of sake that doesn't have the over bearing sweetness as other nigori. Cool crisp taste of pears and melons with a lightness that is sure to finish the bottle without realizing that it is gone. Mild sweetness of honey unfolds on the palate with a long finish. Solid umami and medium dry. Modest ginjo aroma. Substantial rice umami with clean mouth feel. Moderate and pleasant acidity. Produced with Omachi-mai rice which has mild but distinctive taste of its Modest ginjo aroma. Calm and affluent aroma. Mature and elegant taste from the slow aging process. Well balanced mix of umami and aromas of rice. A dry that comes from small team with big hearts. A bright taste of stone fruits and a feeling of freshness from the effervescence of the nama. A light and fruity nose with creamy “UMAMI" flavor. Discover the best of premium sweetness in this sake. Light and Smooth. Well balanced. Delicate entry. Lingering tail. Traditional sake brewed in the Kimoto style, which is medium bodied and earthy, yet smooth. Clean mouth feel and sharp finish of refreshing acidity. Refreshing and elegant aroma of Muscat and melon. Crafted in honor of Hakutsuru's acclaimed TOJI-KAN (Head Brewmaster), Masao Nakazawa. Matured with oak barrel for long time. The maturing flavor and roundness is such as the whiskey. Freshly pressed Daiginjo brewed from the new rice just harvested. Blooming freshness and delicate smooth flavor. Using rice hand-planted locally, KAKEYA 2016 Junmai brewed at Takeshita, a 150 year-old family brewery. Aromatic mild Sake with smooth and dry aftertaste. Mild taste with smooth aftertaste. Sharp dry taste and refined clearness. This exceptionally full-bodied sake is brewed with a proprietary new strain of rice, Hakutsuru nishiki. 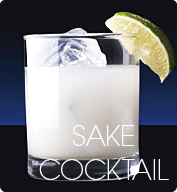 Elegant fruity sake is filled with delicate, flower aroma and feels silky smooth on the palate. Delicate and gorgeous fruity aroma with full flavor. Rich luxurious sweetness, clean and dry finish. Daiginjo has a gentle fragrance. It has a gorgeous and fine flavor and strongle clear taste. The mint combines with ripe cantaloupe, Umami contributes to round texture, and subtle sweetness. Cool and aroma of rice blossoms in unison. A sensation that is mellow but yet delicate experience. Aroma that follows by scent of flowers that folds over like the sweetness of honey and citrus. Cool and refreshing aroma of white lilac flower. Elegant taste, harmony of soft Umami rice. 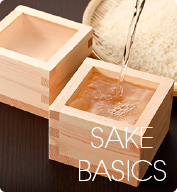 Full-flavored and well-balanced sake with a velvety softness. Great fragrance of fruity flavor and rich sweetness. Double Gold prize of SFIWC 2014. The absolute peak in sake brewing. A blend of the best super premium sakes of different vintages, from 10 to 25 years old. Rich flavor with clean and crisp. This super dry sake brewed with traditional Kimoto method. Finishes with a smooth and slightly dry aftertaste. Kenshin is a Nama Chozo from Yamanashi prefecture. Zesty and tangy with a pleasant acidity, CITRUS YUZU is a perfectly novel choice for any sake lovers. Zingy and tangy with an excellent balance of tropical sweetness, PINEAPPLE is a perfectly novel choice for any sake lovers. Crisp and clean with a mild green tartness, JAPANESE PEAR is a perfectly novel choice for any sake lovers. Luscious and juicy with a delicate sweetness, WHITE PEACH is a perfectly novel choice for any sake lovers. Plum Sake uses the Nankoume, highly praised plum grown in Wakayama which is famous for producing plums. The sweet taste of the plum wine and the tangy flavor are well matched in this Sake. This plum wine only uses the Beninanko variety plums which is one of the highly praised Nanko Ume varieties. Fresh, well balanced taste that connoisseurs appreciate in gift box with traditional Japanese design. Unfiltered sake that looks milky and is mildly sweet tasting with refreshing flavor. This is a limited seasonal product from DENSHIN series for Summer. This sake is a Fukurotsuri Junmai Daiginjo Namazake. Limited seasonal product from DENSHIN series for winter. Sake is a shiboritate Honjozo Namazake. Limited seasonal product from DENSHIN for autumn. Sake is a Junmai Genshu Nama zume. Limited seasonal sake from DENSHIN for spring. Sake is a Junmai Ginjo Muroka Namazake. This sake is supply timely the fresh taste and aroma which were just squeezed to the customer. A scent and clever balance are very good and this “Syoka” is sake of congenial quality at any foods. Slowly brewed junmai ginjoshu made from Omachi rice, which gives a rich and aromatic flavor. With Yamadanishiki for koji and Dewa Sansan for kakemai, it's has gentle robust flavor. Made with blend of Junmai sake and plum extract. Mildly sweet with pleasant citrus like acidy. Soft aroma of fruits and sweetness from Umami with calm acidity. Little bitterness with perfect finish. Soft and round aroma of rice. Taste is round, full bodied, good for wide range of temperatures. Dry sake, full of taste. Powerful flavor of rice, sharpness of SMV +10. Strong base of rice flavor. This sake is a traditional sake flavor and deep flavor. Brewed wholeheartedly, soothing aroma and sweet rich taste will stimulate your palate. 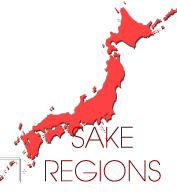 Named after shogunate, is finest sake with perfect harmony of sweet aroma and rich deep flavor. Floral yet powerful. Exquisite aroma, but will not interfere with food, will only enhace. New style sake changes from dry to super-dry taste with squeezing citrus fruits. It has aromatic scent with slight peppery and medium body finish. Light sweetness of fruit with elegant acidity. Sake is made with Yamadanishiki and Nihonbare rice milled to 60%. Comes with two beautiful glasses. Made with 25% blend of Ginjo, brewed with Miyamizu water. Bold body, dry, refreshing flavor. The sake has aroma of white muscat grapes and citrus fruits. Refreshing aroma of mint. Well-balanced sweetness, acidity and Umami in the taste and it reminds you toropical fruits. Aroma is like that of tropical fruits and flavor of citric fruits. It feels smooth, refreshing and crisp. Brewed as Shizukusake meaning filtered by natural free falling filtering. Sake has elegant, rich aroma. Brewed as Shizukusake meaning filtered by natural free falling filtering and has elegant, rich aroma. 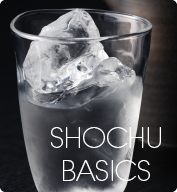 Well-balanced sweetness, acidity and Umami remind you of tropical fruits. Fragrant, sweet and tangy, medium dry. Feel the power of pure, organic sake on first sip. Quite robust, a touch rugged and a bitter undertone. Made with top sake rice with rich body. Long matured to achieve purest harmony of taste. Full maturation creates perfect alignment of rich flavors, acidity and fresh clean aftertaste.